A G R A is located in ANANTAPUR Andhra Pradesh . A G R A is registered as a Society at ANANTAPUR of state Andhra Pradesh with Ngo unique registration ID 'AP/2009/0022984' . 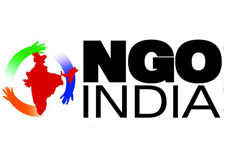 The NGO registration is done by Registrar of Societies with registration number 987/1995 on the date of 02-09-1995, Its parent ORganaisation is PaulFoundation. The Chairman of A G R A is MURALI MOHAN B and Chief functionary officer is MURALI MOHAN B. Promoters are CHIDAMBARAPPA K, KRUPAVATHI B, SREENIVASULU NC,.